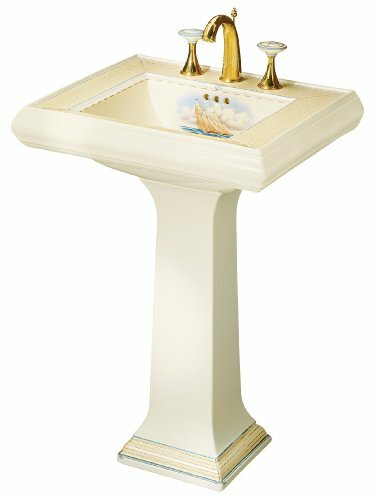 K-14226-SB-96 Features: -Close Reach Design captures the excitement of offshore yacht racing under a bracing, full-sail breeze.-Combination consists of KOHLER Lavatory Basin ( K-14227-SB) and KOHLER Pedestal (K-14228-SB).-Constructed in fireclay. Color/Finish: -The look of worn parchment and a hand-colored engraving is rendered here on a Memoirs pedestal lavatory with a Biscuit background. Collection: -Part of the Memoirs Collection. Finish/Color:Biscuit, Faucet Hole Spacing:One Memoirs 24' pedestal lavatory with Stately design.Elegant, architectural styling integrates with the Memoirs Suite. Fireclay. Pedestal installation. Memoirs exudes the warmth and gentility of generations past.The warmth and genteel formality of generations past; Refined and Relaxed. A reverence for the Beautifully made. 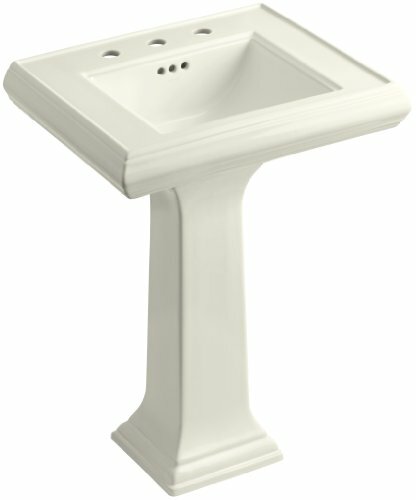 While Memoirs is rich in traditional style and depth of line, It is Kohler's most affordable collection. 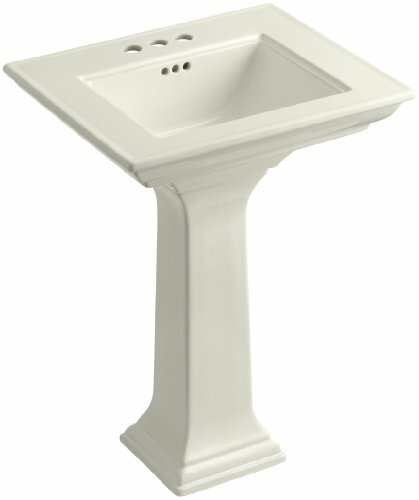 "This Memoirs pedestal combines with Memoirs lavatories to offer enduring elegance for your bath or powder room. Traditional styling and a palette of Kohler colors accommodate any décor, in rooms both large and small. " Looking for more Memoirs Pedestal Lavatory Biscuit similar ideas? Try to explore these searches: Double Hunter Pocket Watch, Zpl Lcd Display, and Set Cardstock Scrapbook Laser Cut.